the last 18 months to develop and commercialise a new tactical ballistic shield, designed for police and intervention teams. 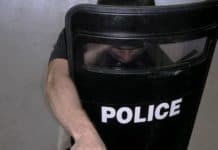 The NIJ level 3A ballistic shield is light in weight and can be deployed quickly in case of arrests when working in a team. The tactical shield can be carried with a bulletproof screen which is made of multiple layers of plastic, so that no fragmentation occurs in case of bullet impacts. The main construction is made of high quality thermoplastic materials such as lightweight UHMWPE armour (high-performance cross-ply PE). 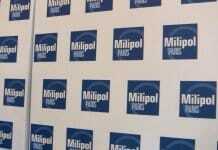 The shield has a weight of 8 kg with maximum dimensions of 1.150×650 mm allowing protection of the entire body. 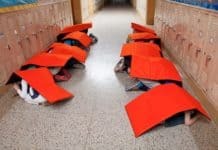 Because of the used basic materials, which are about 25% lighter than conventional materials which are processed axially, the ballistic shield is very useful in static and in combat situations with a high threat level. Thanks to the stiffness and exceptional torsion of the shield, deformation will hardly take place in case of an eventual impact. 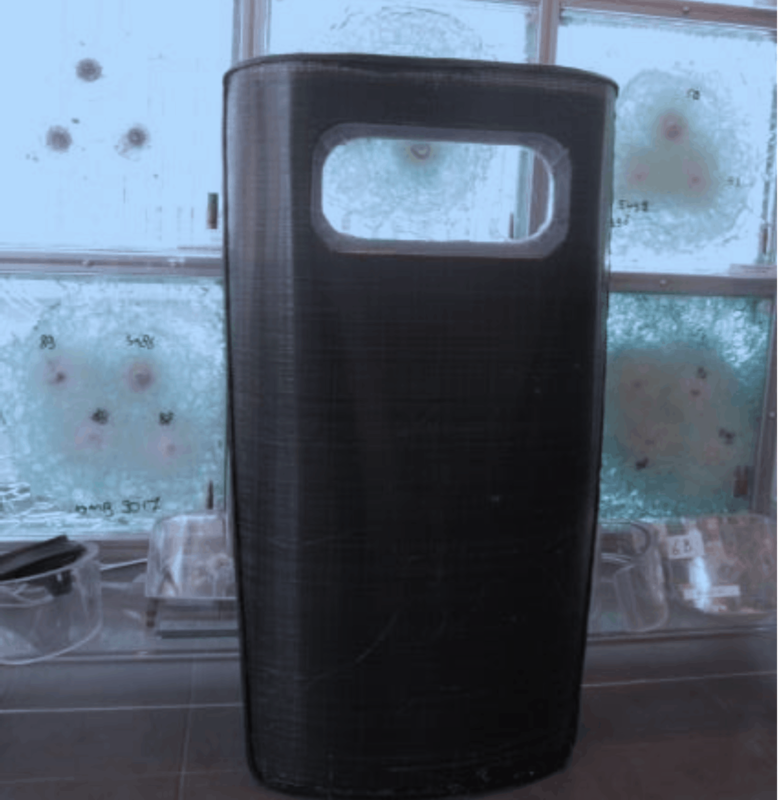 The good news for Allplast is that a positive message arrived from the Belgian police regarding the purchase of the tactical ballistic shield for 2015; the procurement procedure will be started. Until then final tests will be done by Belgian assistance teams for possible specific adjustments for the practical usability, especially focused on small stairwells/porces of buildings in which the storage of drugs and narcotics is expected.